Some industrial disputes capture the public imagination. One such occurred in 1900 when an aggressive employer forced 2,800 Welsh quarrymen out on a three-year-long strike. On the 22nd November 1900, 2,800 men at the Penrhyn slate quarry in Bethesda, Snowdonia, began a three-year-long strike. The walk-out was the result of the quarry owner Lord Penrhyn, and its manager, Emilieus Young, trying to break the influence of the North Wales Quarrymen’s Union at the site. In April 1900, the management told the quarrymen that trade union contributions would no longer be collected. The announcement led to action by the workers resulting in the arrest of several of them. 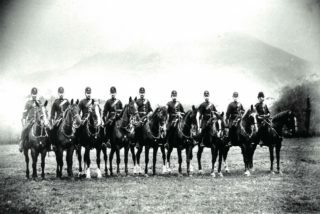 It was unusual at that time for the police to get involved in industrial action, and many condemned the Chief Constable of the County (and his mounted police, pictured) for his action. Soon after the arrests, the quarrymen were given an ultimatum: “Go on working or leave the quarry quietly.” They left. In June 1901, about six months after the strike began, the management sent invitations to all those who’d been ‘approved’ to return to employment. Of the 2,800 who’d walked out, around 400 took up the offer, receiving a sovereign and the promise of a 5% pay rise. The remaining strikers were furious. The names of those who had broken the strike were published in local newspapers. 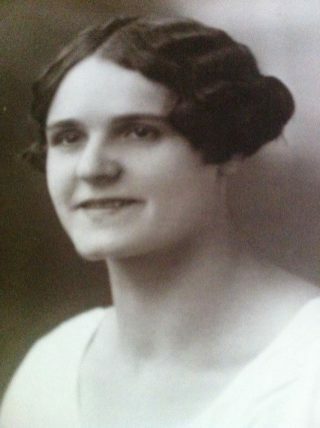 Around the same time a poster – pictured above – started appearing in people’s windows. 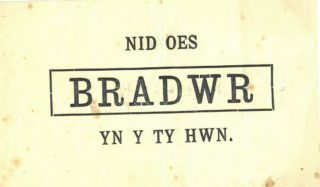 The card reads “Nid oes Bradwr yn y ty hwn”, which translates as “there is no traitor in this house”. This simple sign divided the community in two: strikers and traitors. During those three years, life was tough in Bethesda. ‘Traitors’ were ostracised; strikers became increasingly impoverished, with many men leaving their families to find work further south. However, the strike caught the imagination of the nation and – as a result – received huge support from right across Britain. Collections came in many shapes and sizes, and were sent to Bethesda to show solidarity. 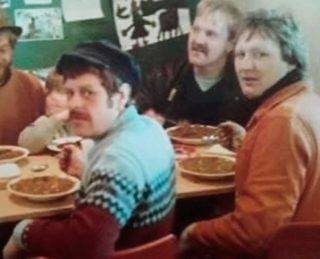 This included, the gift of a 2½ tonne Christmas pudding from a company in Ashton-under-Lyne. Meanwhile, three Welsh choirs went on tour to raise awareness and funds for those back home. 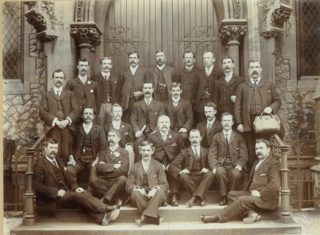 Pictured above is the Bethesda choir, with the treasurer Jeremiah Thomas, holding the bag in which the takings were carried. The strike finally ended in 1903 with the quarrymen who’d not left the area forced back to work on Lord Penrhyn’s terms.